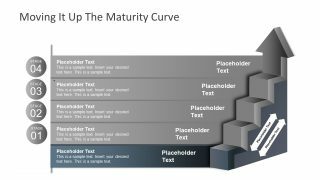 The 4 Steps Maturity Diagram Ladder is a staircase style presentation ideal to describe maturity models. The simple stages and arrow directing upward illustrate the analysis of business processes and successfully achieved goals. 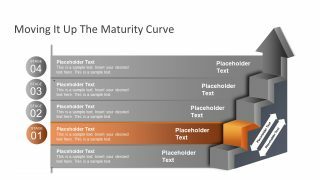 The 4 step maturity model shows 5 levels in the diagram where the bottom level is a baseline i.e. starting point. 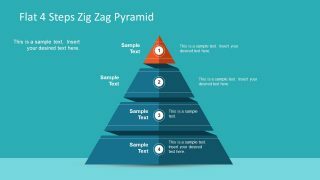 The upward arrow and the 4 steps enable the presenter to visually convey a specific message. This could be mapped to financial growth, increase in sales, expense, or performance. This chevron symbol in the ladder diagram is the metaphor for business and financial growth. Hence the professionals like managers or business analysts can make use of the diagram for performance reports or increasing demand markets. 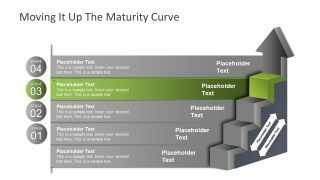 The 4 Steps Maturity Diagram Ladder is a ready to use set of 6 slides. The first diagram is an overview slide to explain the basic concepts behind the maturity model. However, the next 5 slides provide an amazing layout where each template highlights one level of the diagram. 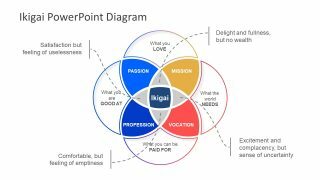 Originally, this PowerPoint ladder diagram highlights the 4 steps by graying out the rest. 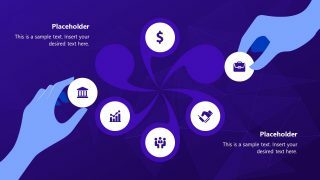 But users can customize the template with their own unique ideas to distinguish each stage. 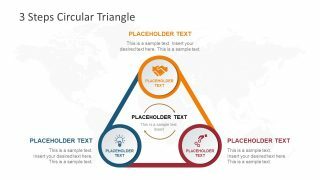 The pre-design template may save the presenter’s time by the fraction in creating an appealing visual. 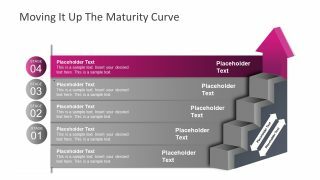 This PowerPoint diagram of a ladder is an ideal template to present a capability maturity model in 5 levels. 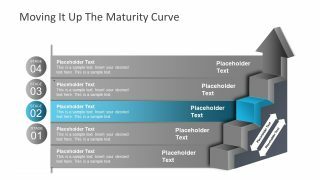 The PowerPoint diagram of a ladder as 4 step maturity model is suitable for business presentations. 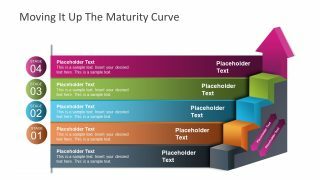 While dealing with growth, development, and maturity, highlight the strategies for success and improvement processes using a ladder diagram.It is quite easy to customize the colors, sizes and basic personalization options in the 4 steps maturity diagram ladder. The users can choose the advanced editing options like background theme, 3D, shadow effect, adding images, or objects etc. Moreover, the text placeholders at each stage enable the presenter to add textual content to support their speech.